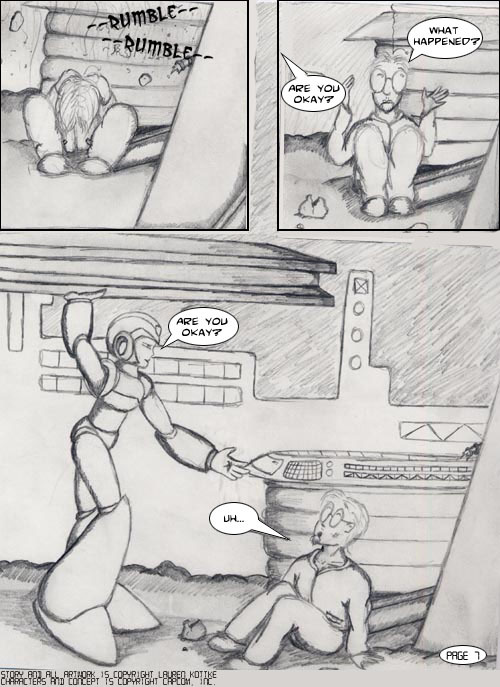 Wow, if this isn't a blast from my past. 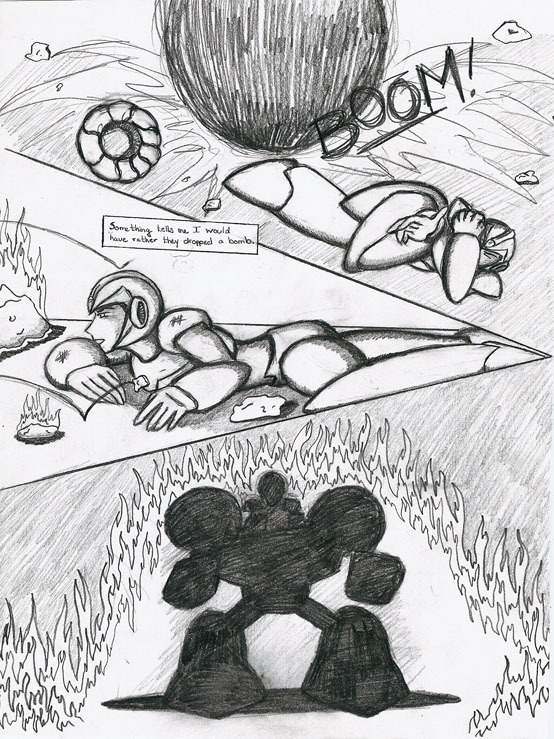 I started drawing this back in my Sophomore year of High School I believe and continued it in spurts until my Sophomore year of College and just let it die. 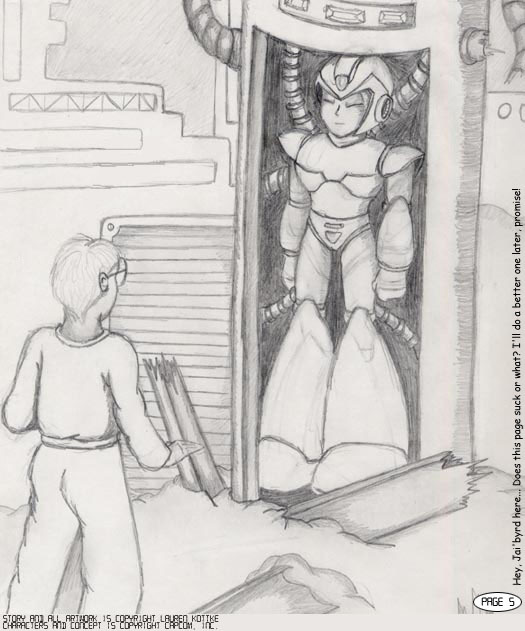 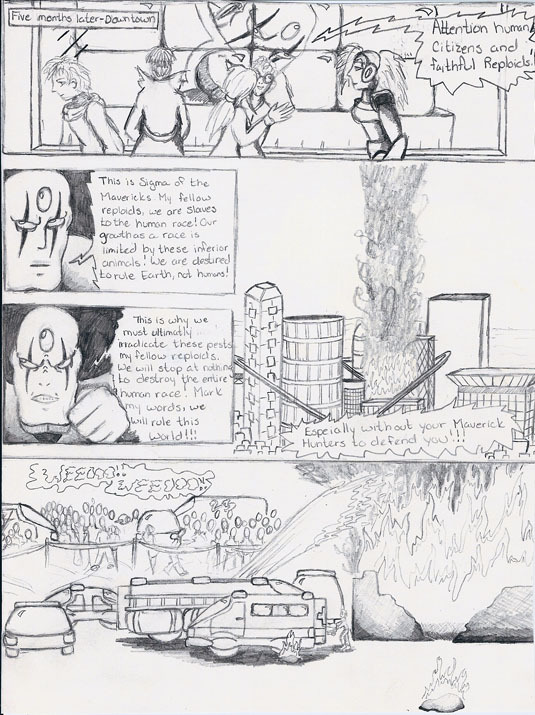 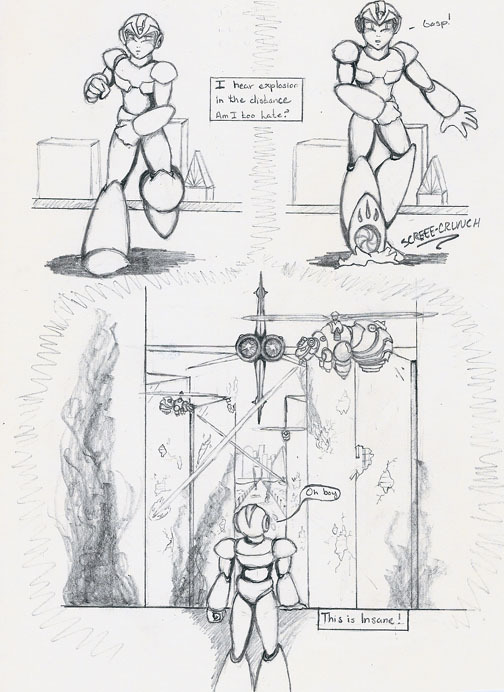 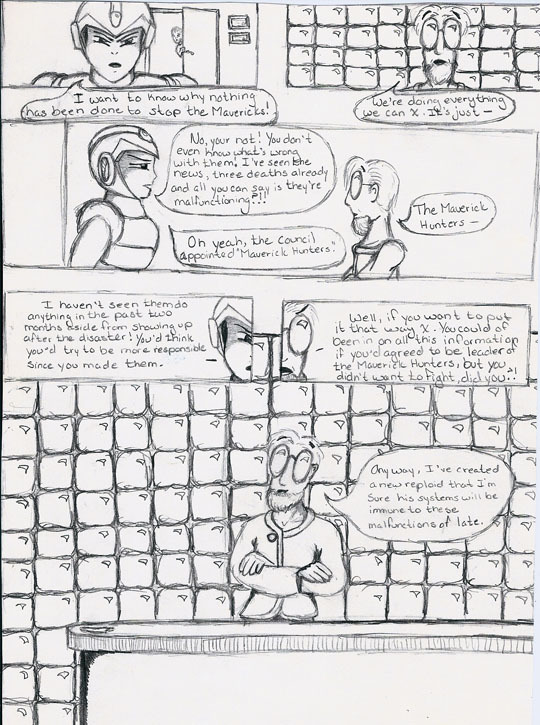 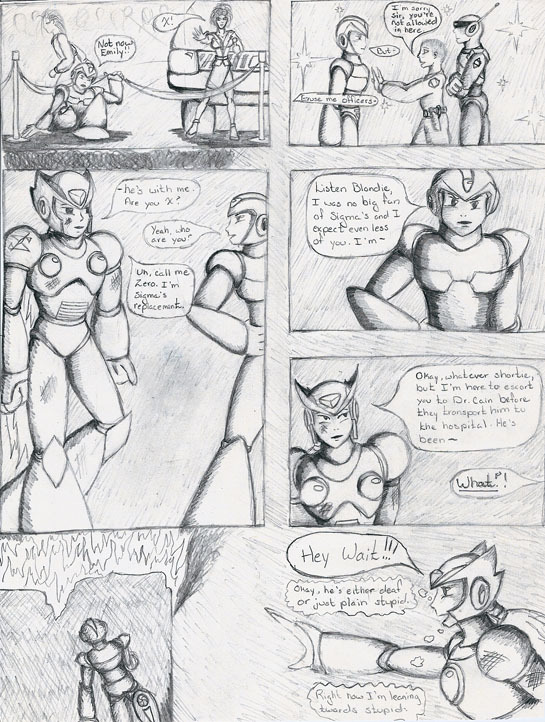 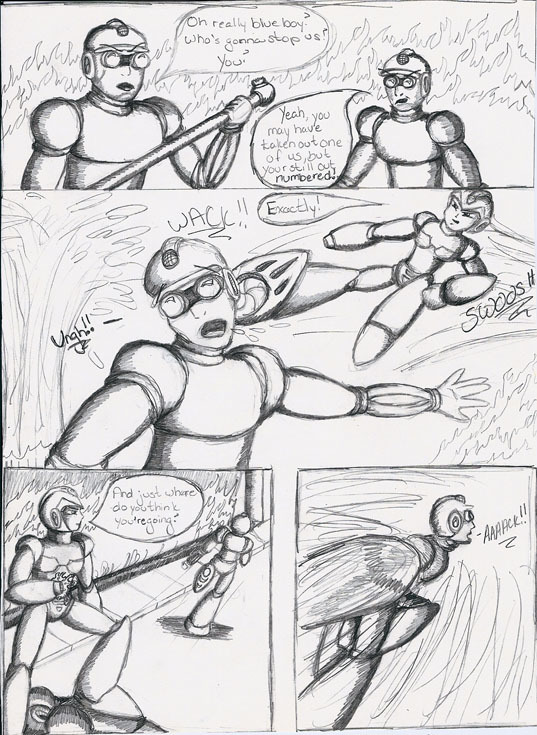 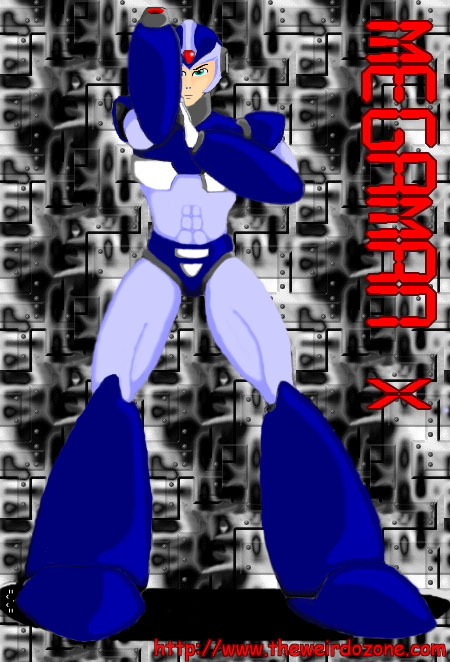 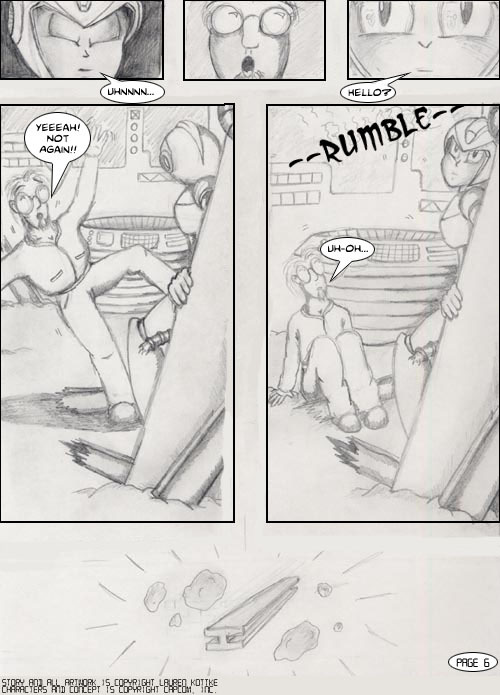 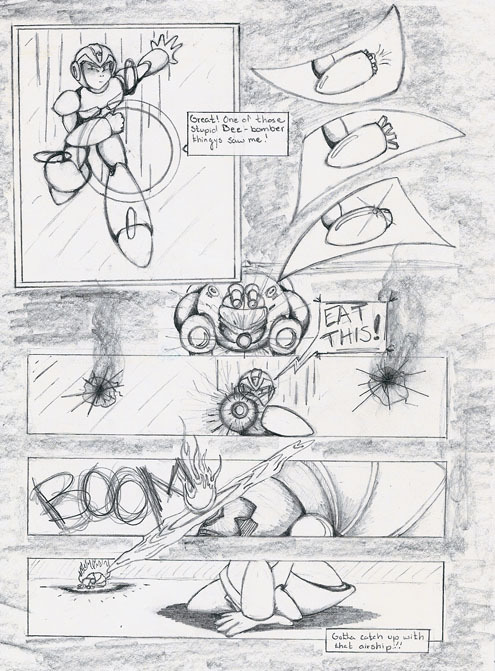 Really, this whole comic was a retelling of my version how the X story should go, in which I drug in more Human elements, what it means to be sentient and throwbacks to the original Megaman games by involving Protoman and Tango as mentors to X and Zero somewhat. 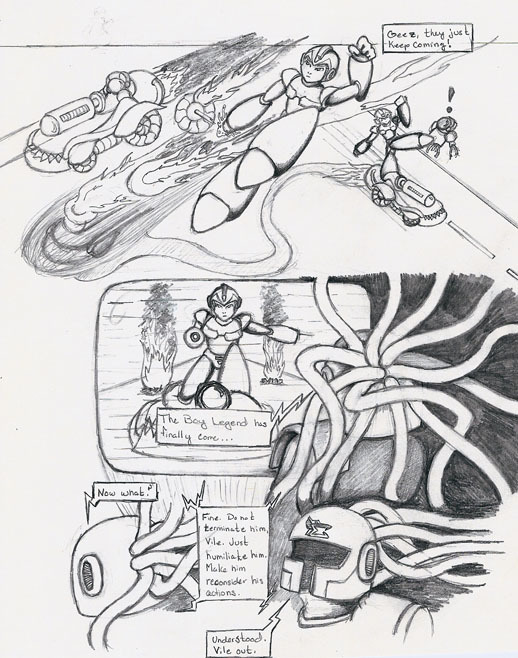 A ton of the story was developed back in those blissful days where my brother Darlos would sit and play the games and I'd draw as we'd discuss the finer points of what we liked about the story - which there wasn't much of, so we used our imaginations and filled in the blanks as we saw fit. 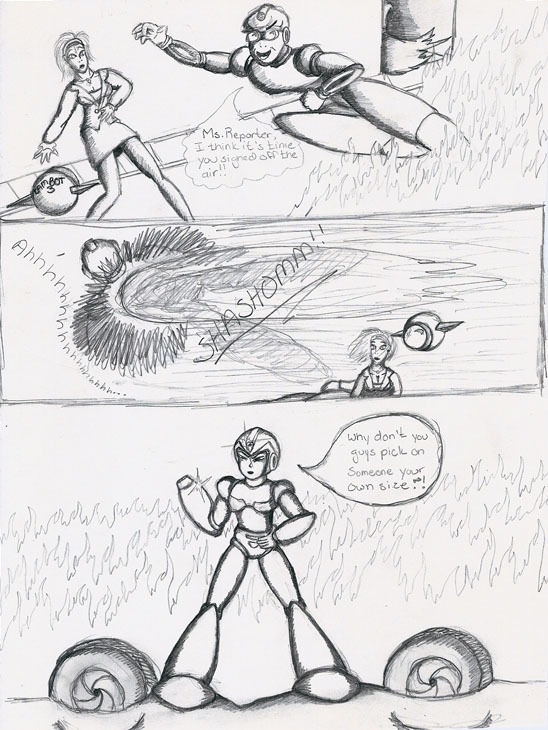 This mess was the result. 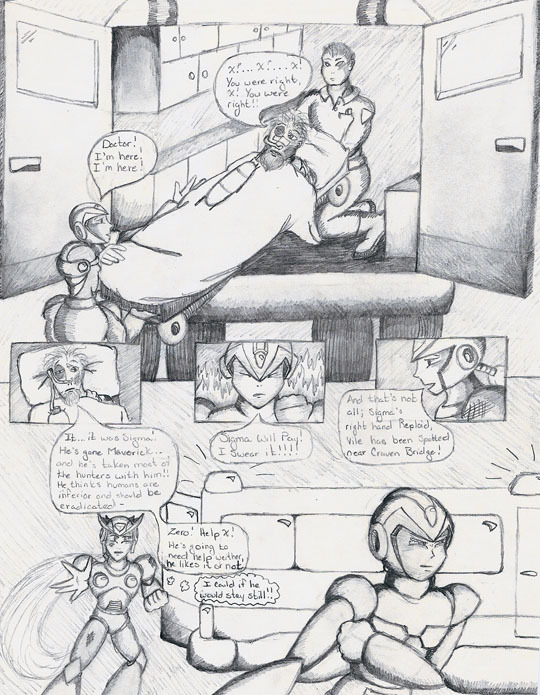 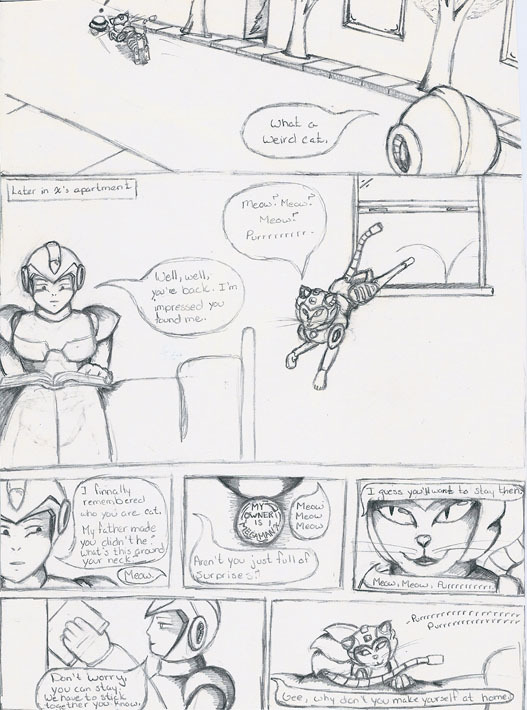 I should post the script here too as I had quite a bit scripted out that I never got to drawing like a ton of smarmy dialog between X and Zero and the entrance of Protoman. 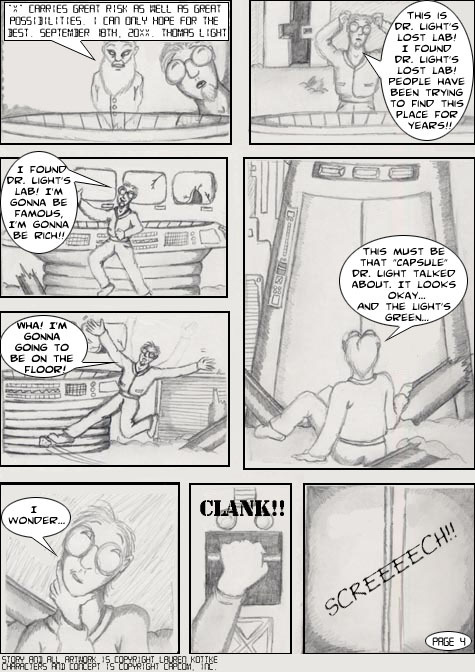 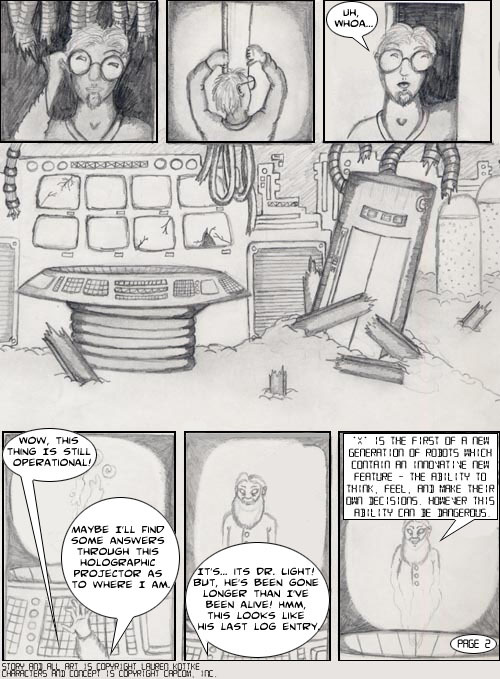 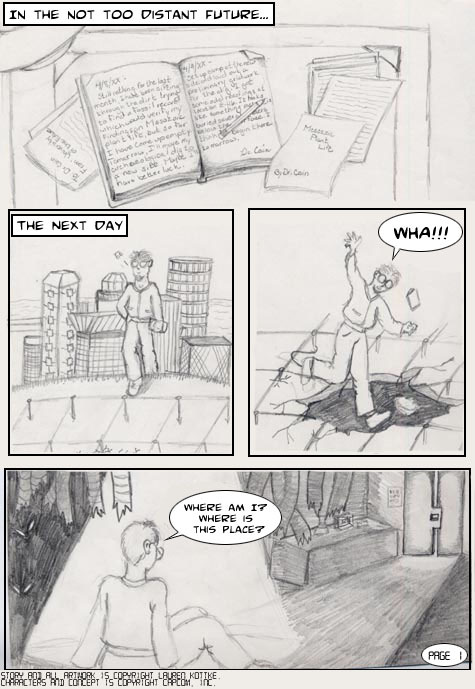 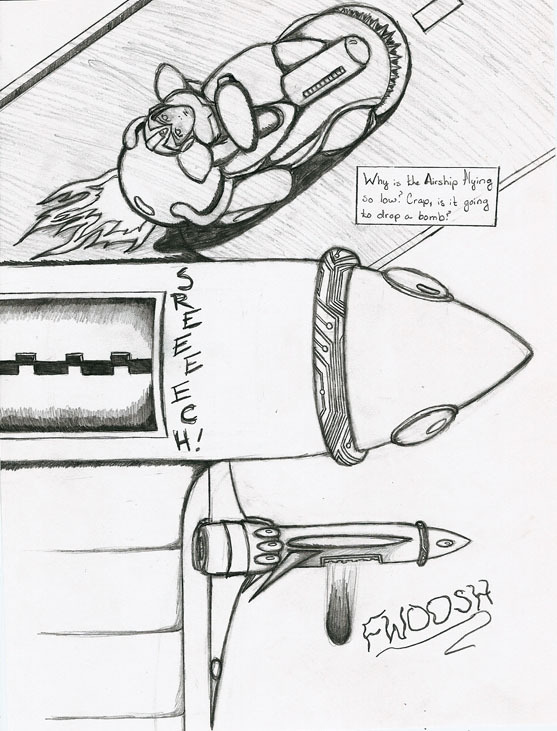 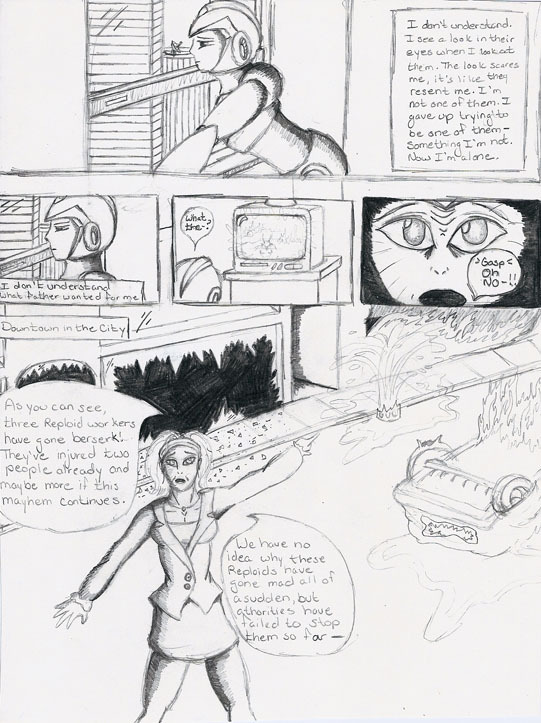 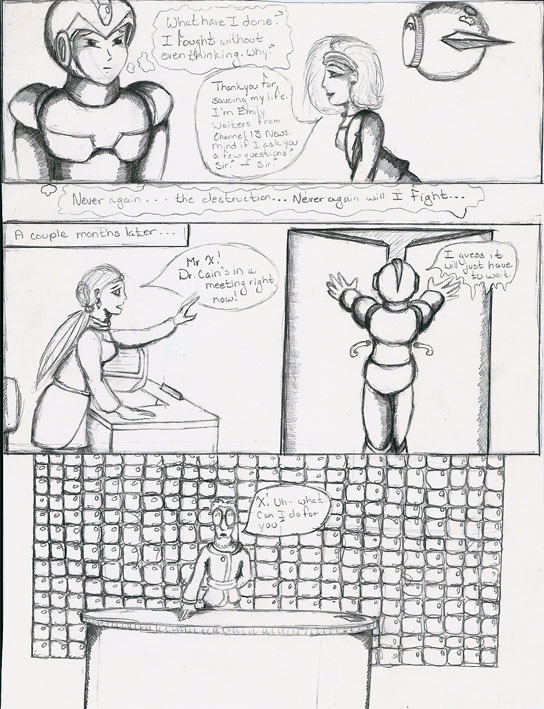 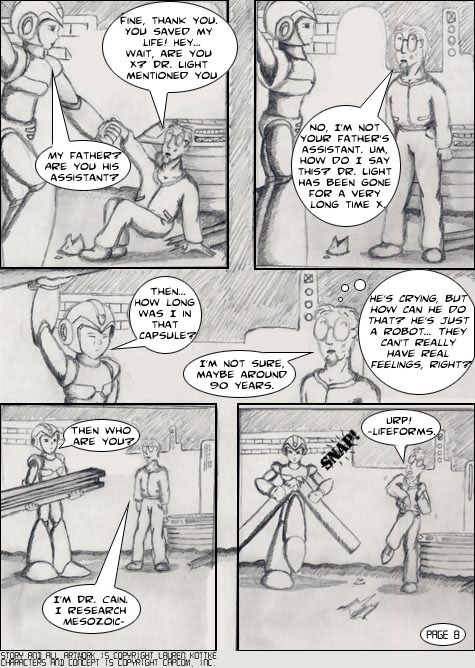 For the longest time, I'd look back on this and cringe (with good reason as you can see), but now I look at it with loving nostalgia, this, after all, is my first attempt at doing a comic. 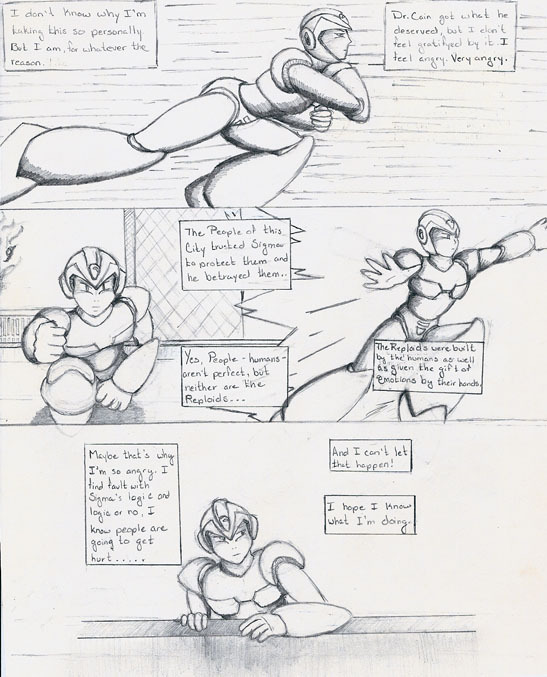 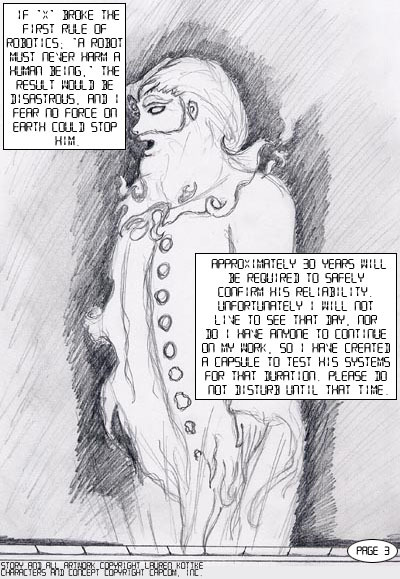 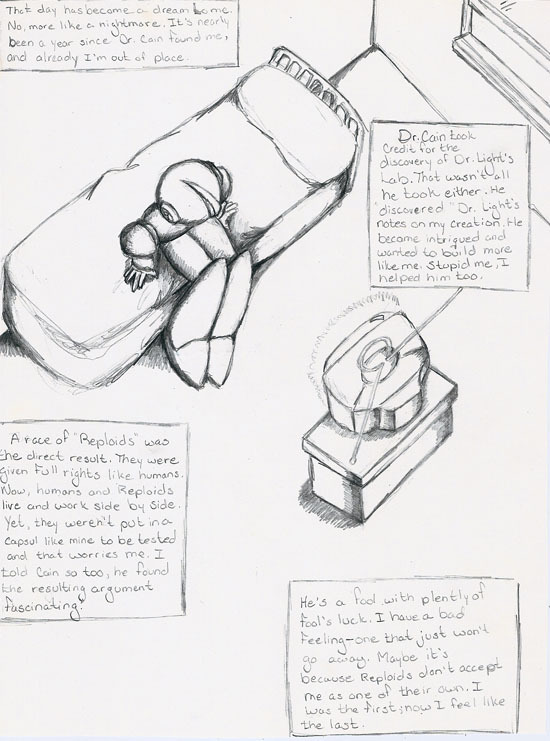 When I got to college, I hated the art, so starting with page 10 I tried to start over. 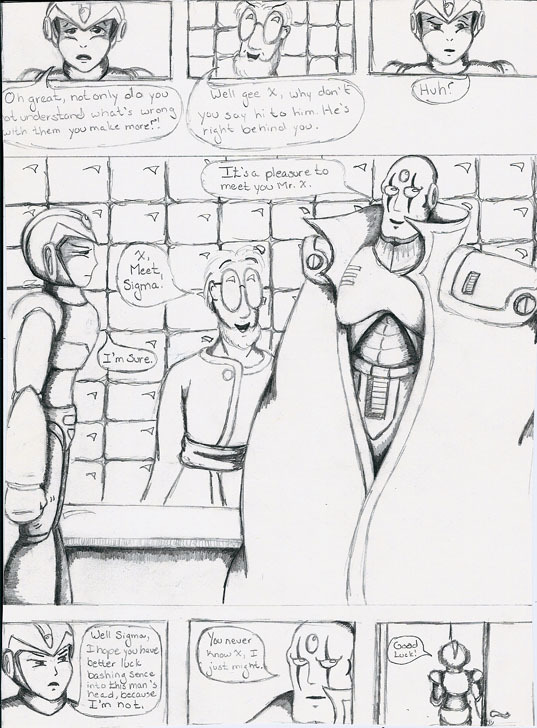 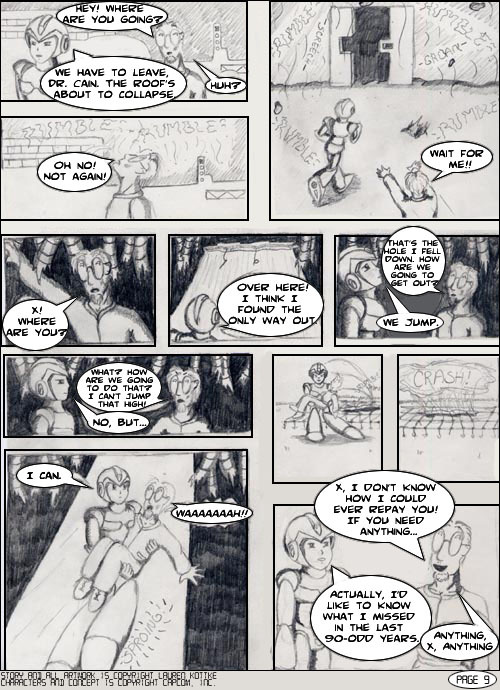 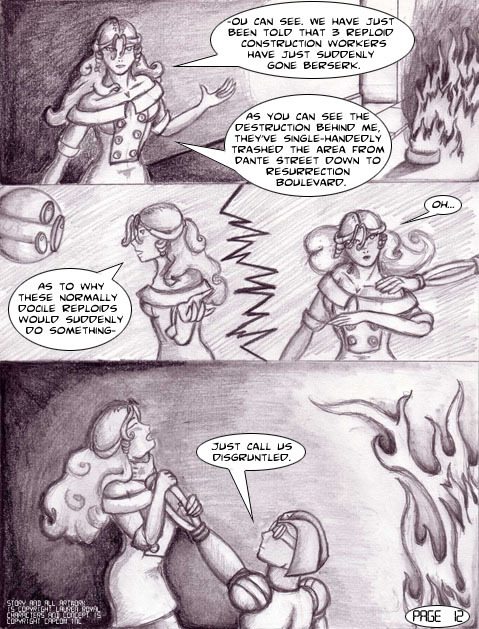 It petered out like many of my projects then, thus there are only three pages of the redux version.